If you’ve recently adopted a puppy one of the first things you’re going to ask yourself is “why is he biting so much?” Well either that or what in the hell have I gotten myself into. Training your puppy to stop biting isn’t a fun process. I’m not going to sugarcoat it; it takes a lot of patience and consistency, and some dogs take longer to train than others. But don’t worry — there is hope. These methods work by encouraging your to chew on something appropriate, rather than using your limbs as a chew toy. 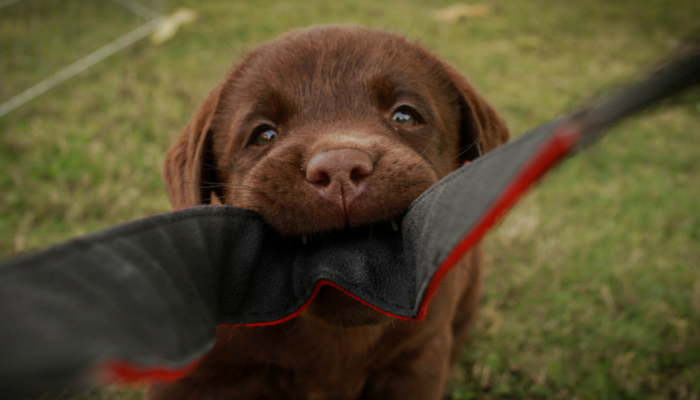 Here’s 3 methods to stop your puppy from biting. If you have a puppy chances are you’re asking yourself “what in the world have I gotten myself into?” Trust me, you’re not alone. Puppies are a handful, and their constant biting can be extremely frustrating. Why do puppies bite so much anyway? Puppies are just like babies in a few ways; they’re curious, they can be fussy, and they’re just starting to learn about the world around them. And guess what they use to explore this new world? Yep, those sharp little teeth. Sure their litter mates and mom taught them a few things, but now it’s up to you to continue the process. And that includes teaching them not to bite humans. Puppies bite everything, and they bite a lot. It’s their way of exploring and learning about the people and things that surround them. While it might be funny for a minute it gets old pretty quick, especially if you’re the one on the receiving end. Teaching your puppy not to bite is one of the first things you’re going to want to work on, especially if you have children. Training a puppy isn’t on my list of fun and enjoyable activities; it’s a lot of hard work and as I said puppies are jerks. There’s a reason they’re so cute and that sole reason is to keep us from harming them. It doesn’t take long for the cuteness of a puppy to wear off as you find yourself constantly prying their mouth off of everything. One of the first things your new puppy needs to learn is how to how to control that mouth of his. And to do that you’re going to have to start teaching them some bite inhibition. Bite inhibition is a learned response where the dog consciously inhibits the force of his bite. Dogs start learning this behavior at a young age from their litter mates, but now you have to fill in the gaps. Your puppy probably has a decent foundation of this behavior. While pups are nursing the mother dog will stand up and walk away if one of the pups bites too hard. When puppies are playing with their siblings they’ll yelp and stop playing if someone gets too rough. But problems can arise when the pup is introduced to his new human family and those same boundaries aren’t set and reinforced. The good news is that this biting behavior isn’t permanent, the bad news is that it’s not always easy to train them out of their biting behavior. (and not to mention how much those puppy teeth hurt) As with us humans each dog is different and some dogs will require more consistency to break this nasty habit. I’m not going to sugar coat this — teaching your puppy not to bite takes awhile. Most dogs aren’t going to catch on in one day and be done with it. And you better make sure your whole family is on board with the training process. Don’t let dad rough house with your pup & then expect him to calm down & be on his best behavior immediately afterwards. Teaching your puppy not to bite takes consistency and patience from everyone involved. 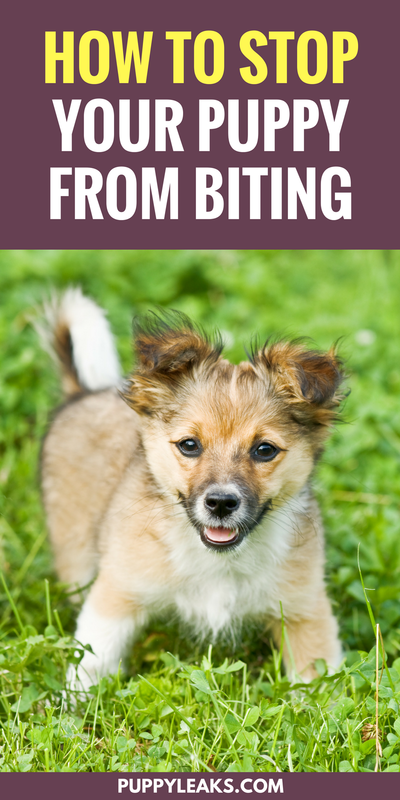 Here’s the three methods that work best when training your new puppy not to bite. When your dog bites you give them a toy instead. Move it around, make noises; do whatever you have to do to make that toy more exciting than biting you. If your puppy won’t take the toy ignore them. Now I know it sounds fairly simple, but resisting that urge to pull away quickly is tough. But those quick actions tend to get puppies even more riled up and excited, which leads to even more biting. For my dog Laika, aka the biting monster, we had a lot of success with the redirection method. Anytime she would get too rough and bite too hard I would grab a toy and encourage her to play with that instead. If she continued to try to go after my skin with those sharp teeth I would just stop playing altogether. Now when it comes to stopping the play you need to make sure what you’re actually doing is becoming boring & dull. 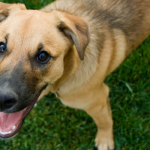 Your first instinct might be to walk away from the dog when they’re getting too rowdy. But that can make things worse since moving objects are always going to be more interesting to a puppy than something still. This process took a long time for us, mostly because training myself to stay still & calm while getting bitten by a puppy was difficult. Eventually I caught on, and that calmness kept my dog from going full on puppy assault mode. And by staying calm I was able to discourage her from biting me further. Every time she’d bite my hand I’d pull out a toy and encourage her to play with that instead. Eventually she started bringing toys to me when she was in a feisty mood, rather than grabbing onto my legs from the get go. Tip: If you’re looking for a good toy your puppy can’t chew up in seconds check out our top 5 tough dog toy recommendations. One of the best ways to teach your puppy not to bite is by redirecting their attention onto a toy. Sign your dog up for puppy kindergarten or socialization class. 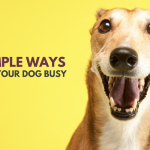 Not only will you get getting your dog the proper socialization he needs, but he’ll be picking up on lots of good doggie manners in the process. They’ll be learning from other dogs that playing too rough isn’t tolerated and that it puts a quick stop to play time. If you’re not going to puppy kindergarten try to continue to introduce your new puppy to other dogs in other situations. Socialization is often overlooked when it comes to training, but it’s one of the first things you should work on. Studies have shown that dogs that don’t receive proper socialization are more likely to have behavioral problems later on. Not only is socialization necessary for their social development – it makes bite inhibition training much easier. 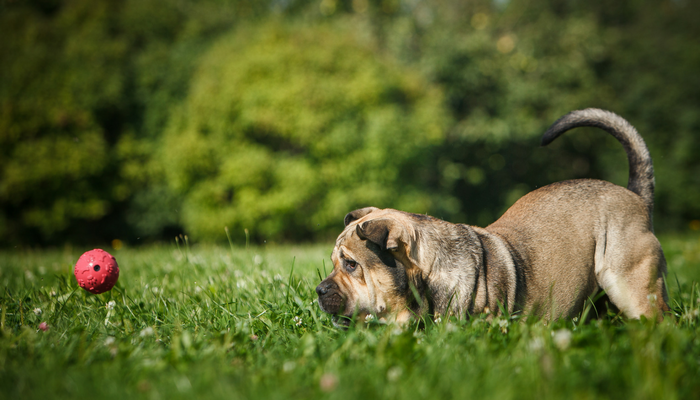 Having your puppy learn from other dogs is something you should take advantage of. Back before we domesticated them they were pack animals, so they’re pretty good at learning from their peers. You’re still going to work on training bite inhibition at home. But socializing with other dogs can be invaluable when it comes to making the process much easier. Tip: If you’re not able to sign up for a puppy class invite your friends or neighbors well behaved dogs over for some play dates. So when you put your hand in front of your puppy & he doesn’t bite you’re going to click & give a treat. Part of learning bite inhibition is having your dog learn exactly what the boundaries are. Since clicker training allows for more precision it works really well for teaching bite inhibition. Place your hand in front of your pup’s mouth, if he doesn’t bite give him a click, treat, and praise like crazy. When you’re comfortable that your pup isn’t going to bite your hand when you place it in front of his face you can up the ante. Start by slowly waving your hand in front of him, if he doesn’t bite it praise, click and treat. Your goal here is to teach your puppy not to bite everything that comes near his face. Don’t set him up to fail. Start slowly, his first reaction might very well be to bite anything that comes near him. Click and treat for small inhibitions and gradually up the stimuli. If you’re consistent you should end up with a puppy that isn’t going to reach out and try to bite anything that moves. Just remember this activity will take a lot of practice. You’re building up his impulse control which isn’t something that can be trained in just a few sessions. 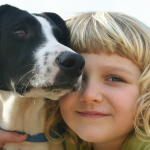 Puppies need to learn boundaries and how to control their impulses just as children do. They need to learn that good things come to those that wait, or in this case good things come to puppies that don’t bite. Should You Yelp When Your Puppy Bites You? There are so many articles out there that tell you to yelp at your puppy when he bites you because it’ll make them stop. The theory is that your yelp is a clear signal to your puppy that he hurt you. Now maybe my yelps weren’t convincing enough but this method did not work at all with my dog. In fact it made her much worse. The yelping method doesn’t work for all dogs. I still remember the first time I tried this with my puppy years ago – it made her come at me twice as hard. Many dogs become over stimulated by this strategy and it can make their biting worse. So please use with caution. Teaching bite inhibition was a real pain for me. It actually took a lot of time with both redirection and clicker training for it to finally start working. Don’t be completely discouraged if your pup is a bitey jerk, it’s just the way puppies are. Their one defense is their teeth so they’re going to use ’em. If you praise enough when they’re behaving well and ignore them when they play rough they’ll catch on. They’ll start to understand the proper way to interact with their new human family; one that doesn’t involve sharp puppy teeth. Did Your Puppy Bite Like Crazy? Did your puppy bite like crazy? How long did it take for you to train your puppy not to bite? Did you use the redirection method? Did the yelping method work for you? I didn’t think I’d ever say this, but…my dog is finally FULLY trained! “The Online Dog Trainer ” Click Here: ( dogtrainercommand.com ) is a WONDERFUL resource for learning how to effectively and quickly train your dog without ever leaving home. 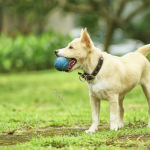 I learned great ways to teach my dog almost every single trick imaginable and how to correct the most common behavioral issues, such as barking. It is full of carefully compiled videos that allow you to watch and listen to their expert solving the exact problem you’re having with your dog, with another real dog and its owner. You can see the precise body language he uses, how the tone of his voice changes, and how the dogs respond, changing their behavior almost immediately. It’s remarkable to see how quickly my dog picked up on these methods. My dog behaves PERFECTLY now! From what I understand, the information on that website works for any age or breed of dog. I feel blessed to know my dog is trained properly and effectively. Too weird. All my dog training is about teaching the puppy to bite. IPO, French Ring, Mondioring, all about teaching the bite. Got to have the right breed with the right genetics. Can’t imagine knocking the bite out of a puppy. This article is about teaching puppies not to bite at home so they make good companions. It’s not related to bite work or Schutzhund in anyway – those are a separate sport completely. 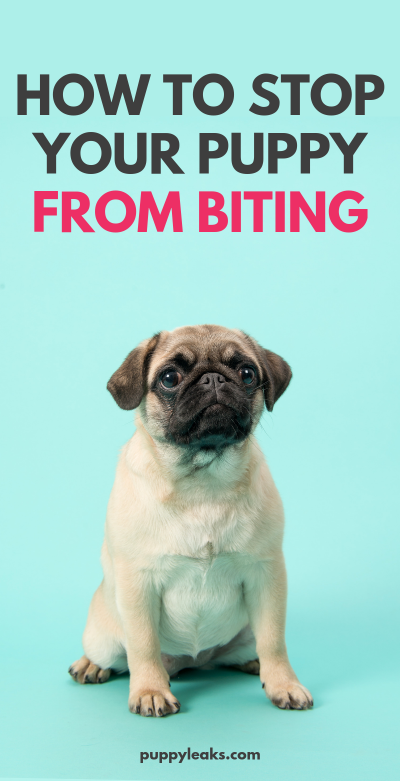 great article , puppy biting can definitely be a pain ( excuse the pun ), i find the redirection idea works well and using a clicker is also a good idea , but as you said a lot of getting your puppy over this behavior is patience . We are at 16 weeks and our puppy is still a voracious biter ,and she’s a larger breed so her bite is getting more painful. We have some success with redirecting but yelling ow does not work, actually it seems to spur her on. We start puppy kindergarten soon I’m hoping we learn something to help. I don’t mind fiesty, but do not love bitey. Yeah that yelping method or saying ow just ended up backfiring on us as well. Rather then getting her to stop biting it just made her more excited and bitey. Our puppy (border collie) is now 4,5 months, most of the really bad biting is gone but with playing she still wants to go for our skin instead of the toy. Yelping didn’t work at all, she became even more excited to bite our hands and feet. Redirectment training and focusing on her good behaviour instead of negative works a lot. I can wave my hands and feet in front of her face and she doesn’t bite. But… when she is bored or wants attention, she knows that biting in our feet or another object in the house will get her attention. Negative attention, but for her that is also attention. I find that the most difficult to ignore, it’s really painful when she hangs in your feet with her sharp teeth. Also, do other people recognize this? When outside with other people, she behaves like an sweet little angel. As if she would never use her teeth. But inside, with us (her pack), she can really play with us aggressively and even sometimes showing us her teeth. We always immediatly correct her, and she knows she went a little bit to far. After all, the most important thing is being patient. When we first got her I thought she would never learn, but with patience and being consistent, every day you will see some progress. And most of the time she is a really sweet and eager to learn little puppy. I’m glad to hear redirection works with her, and you’re certainly not alone when it comes to the yelping method riling up your pup even more. I noticed when Laika was young she did have a tendency to act much sweeter (less biting) around other people when we were outside the house; I don’t know if it was because she was so much more comfortable with us specifically, or if the outside stimulation was what was helping to distract her from her regular biting & nipping. It’s a great question. I totally agree that yelping does not always work. And as you said it could make the situation worse getting the puppy more exited. This method however worked for my golden retriever. Yelling had the opposite effect for me as well with my lab mix. Redirecting works sometimes. I can’t even pet her without her turning her head to bite. She was born in a kennel and picked up bad habits and is the most stubborn dog I have ever worked with. She’s getting better but….very slowly. I believe this depends less on the dog and more on the person doing the yelping. With our still-cute mutt (retriever/ collie / rottie mix), it works when I do it, as long as he’s not *really, really, really* trying to tell me something. Like “I am hungry” or “I want to go to the bathroom” or “I really want to play”. Most times, he’s getting good at inhibiting his bite, and we’re now working on not touching my hand at all with bare teeth. Oddly, we somehow managed a strong “Crate” command, which still works at the height of his efforts to get our attention. So we’re making progress. However, if my son tries to cry “ouch” when the dog gets near him, it spurs him for a more energetic game. So I can easily see how there’s more than “Cry ouch” when he digs in, but I can’t quite put my finger on what that is. You make a great point, and I wouldn’t doubt for a second that my yelping isn’t exactly convincing. My dog knows my real “ouch” noises and will back off after stepping on my foot etc, but she seems to to think my yelps are a joke. So it might all be in the way we’re yelping, and whether or not we’re convincing enough about it. What do you do when none of these methods work? If we stop playing with her and walk away, she follows us around and bites our ankles. She could care less about a toy when we try to redirect her. When we ignore her she just jumps on us and bites until she gets your attention. Literally nothing we’ve done is working and it’s starting to worry me that she won’t stop. She’s a 7 month old Jack Russell and has been the hardest dog we’ve ever had to train with this biting problem. We have a 10 week old GSP and have had her for 2 weeks now. We are trying the redirection method, she mostly still bites our hands rather than the toys offered though. I have tried to stand still and ignore when she is jumping up and nipping my ankles but she doesn’t lose interest very quickly and there is only so much I can endure. I am more worried for my children aged 10 and 12 as she seems even more persistent in biting them, they are trying to redirect, ignore and stand still but this is proving very challenging for them not to react. Hoping the biting will start to get better soon as I’m dreading it getting any worse.